Our first Fall 2017 Salon features showrunner Dustin Thomason AB '98 of the upcoming Hulu show Castle Rock. Join our small group for a candid discussion of the ins and outs of showrunning and drama television. Seats for Harvardwood Salons are extremely limited (capacity = 10) in order to nurture a more intimate conversation among attendees and our Salon guest. The Harvardwood Salon Series gives attendees the unique opportunity to engage in in-depth discussion with the featured guest in an intimate setting. Salons are only open to Harvardwood Members & Friends. Please scroll to the bottom of this page to find out how you may attend. Dustin Thomason is the co-creator and showrunner of Castle Rock, forthcoming from Hulu in 2018. 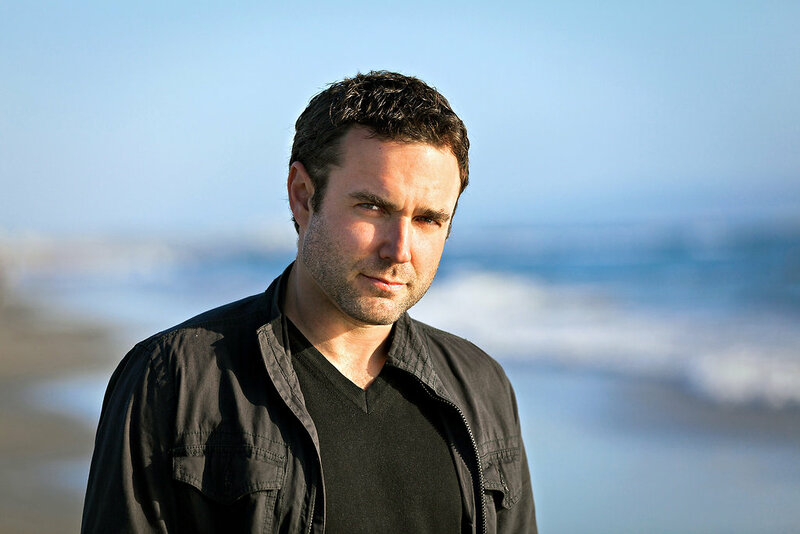 Dustin has written and executive produced numerous other series, including ABC drama The Evidence, Fox's Lie to Me and WGN America's Manhattan. He began his writing career as a novelist and was the co-author of NY Times Bestsellers The Rule of Four and 12.21. Dustin studied anthropology while at Harvard and received his M.D. and his M.B.A. from Columbia. For your own safety, please do not ask him any medical questions; he doesn't remember much and barely passed his board exams in the first place. If you're interested in attending this Harvardwood Salon, please read the information below carefully and follow the steps. 1) You must be a dues-current Harvardwood Member or Friend. Not a member? 2) Complete this brief interest form so we can learn more about you and your interest in attending this event. Please log in to access the form. The deadline for the interest form is September 15, 2017. 3) You will be contacted by the Directors of Harvardwood Salons. If it is possible for you to attend, the Directors will send you the link to RSVP. If not, you will be placed on a waitlist. Capacity is extremely limited, and priority for future Salon registrations will be given to people who have previously been waitlisted in order to ensure equitable distribution among the membership. This is a restricted event, and advance and approved registration completed per the steps above is required. Due to extremely limited capacity, no walk-ins will be admitted; anyone who is not registered will be turned away at the door. We appreciate you waiting to be contacted by the Directors. Please read this page carefully to make sure your question can't be answered by information here before reaching out with any email inquiries.